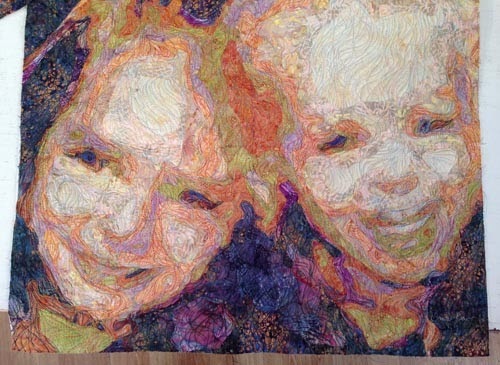 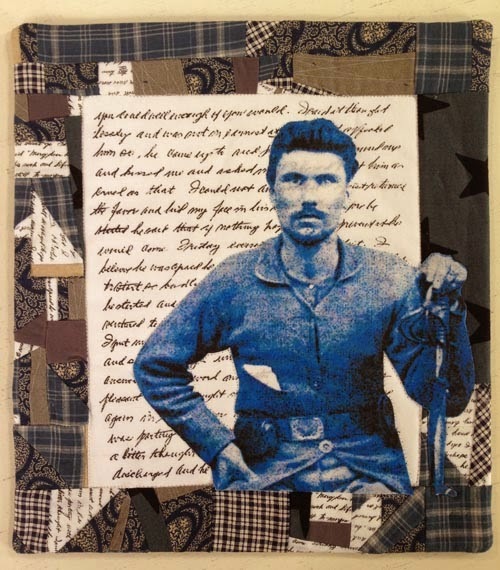 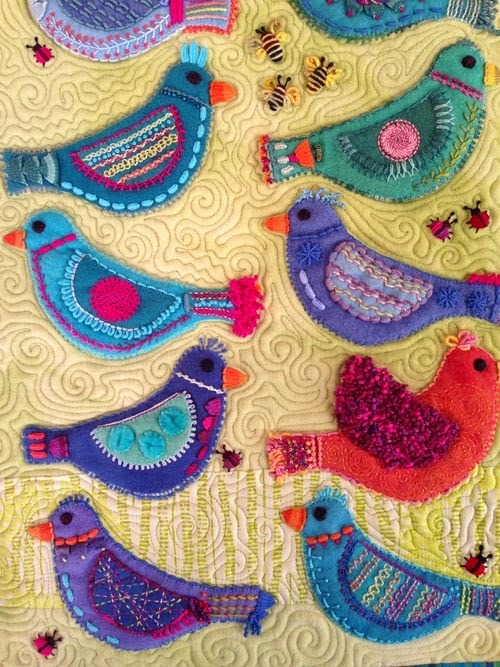 Tammie Bowser makes spectacular fiber art based on photos. 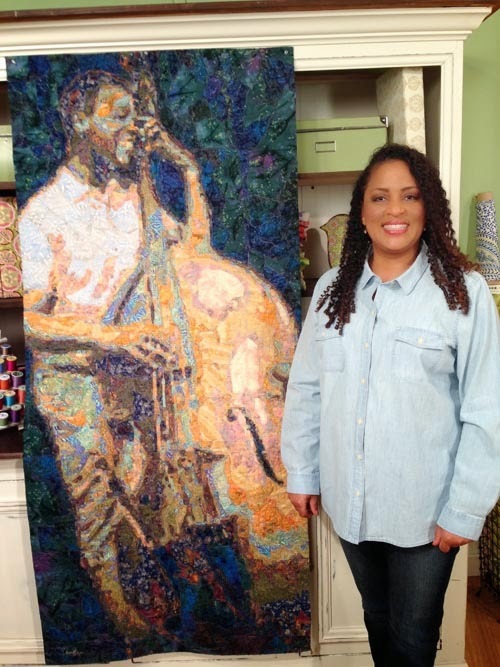 She bases some of her work on photos of jazz musicians that were taken by her great uncle! 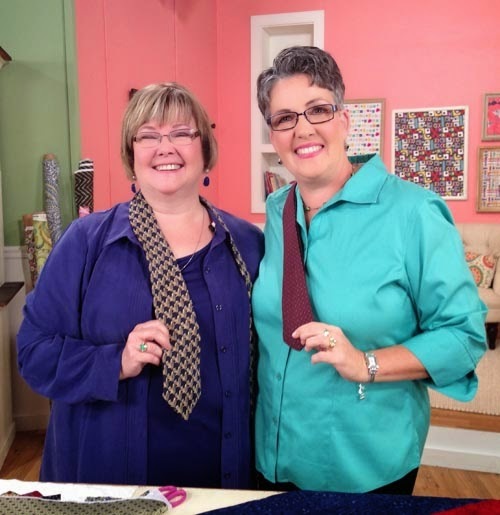 Patricia Bowman did one segment on how to handle different kinds of material in t-shirt memory quilts, and another segment on using ties in quilts (this segment will appear in Series 1600). 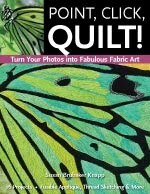 Want to make a t-shirt quilt and need some advice? 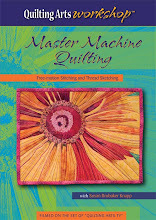 Trish’s book Easy Memorabilia Quilts (published by AQS) can help. 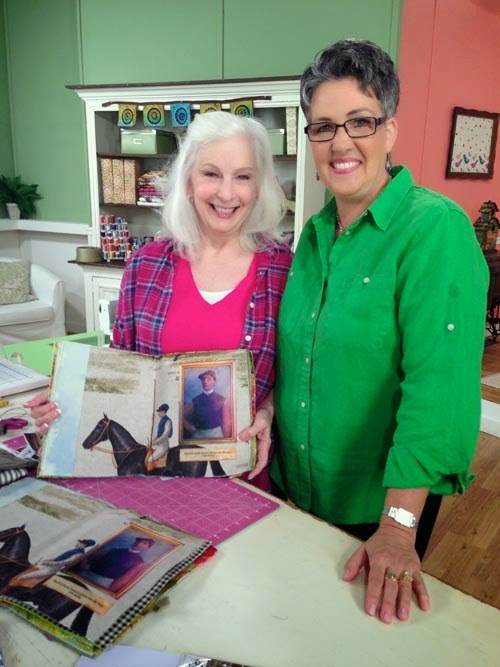 And her templates make it easy to cut t-shirt blocks to the right sizes for your memory quilt. 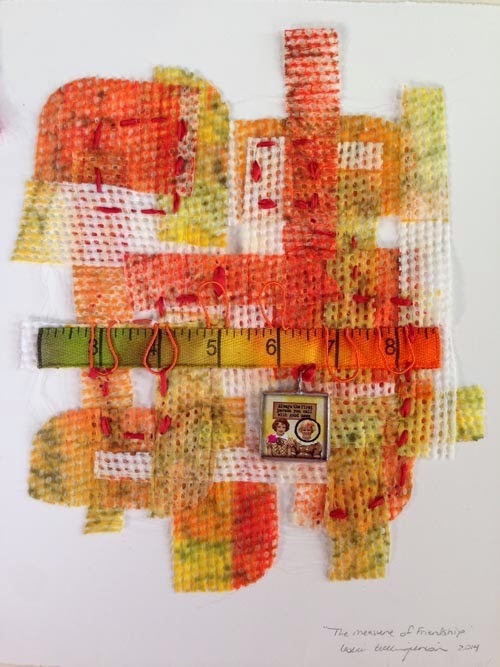 Jamie Fingal showed us how to collage fabric to make original creations, and how to stencil motifs onto fabric and make small art quilts. 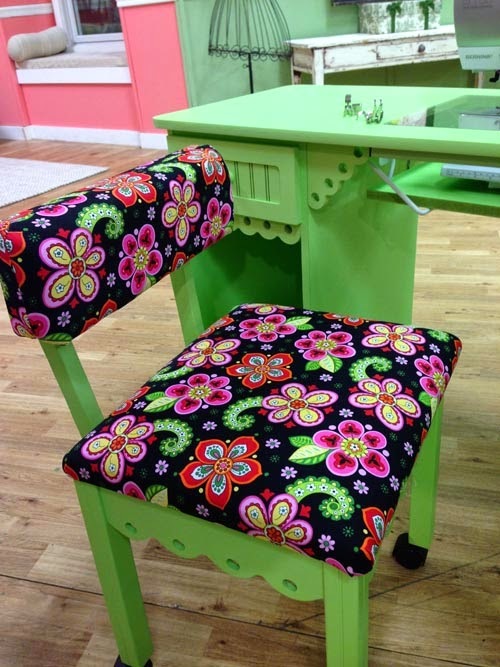 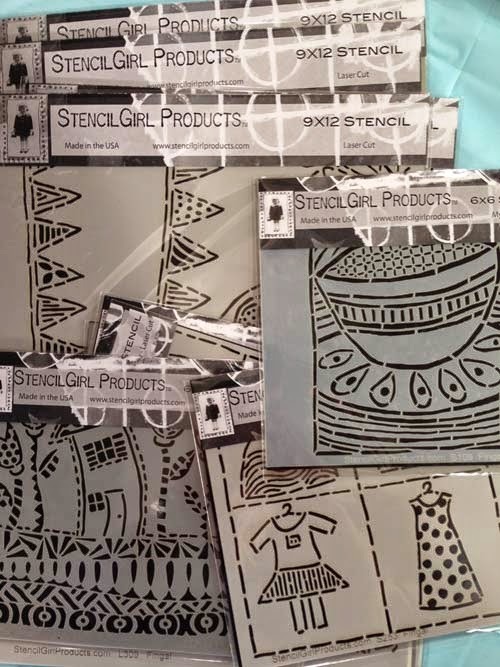 She designs fabric for Hoffman, and has a line of stencils with Stencil Girl. 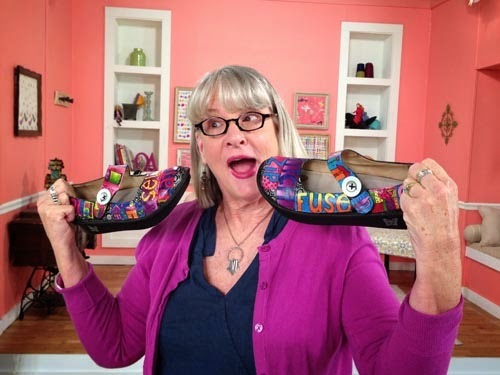 Jamie has even used her fabric on her shoes! 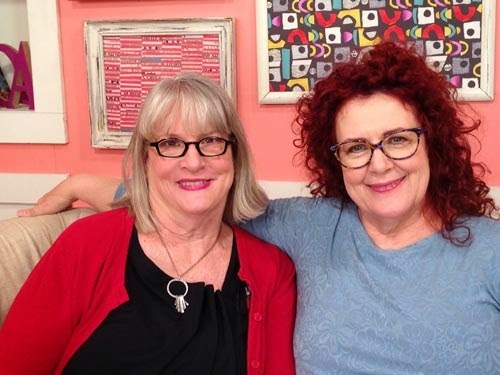 Leslie Tucker Jenison, who is a good friend of Jamie’s, also shot some segments, and sat down on the couch to talk with me about curating. 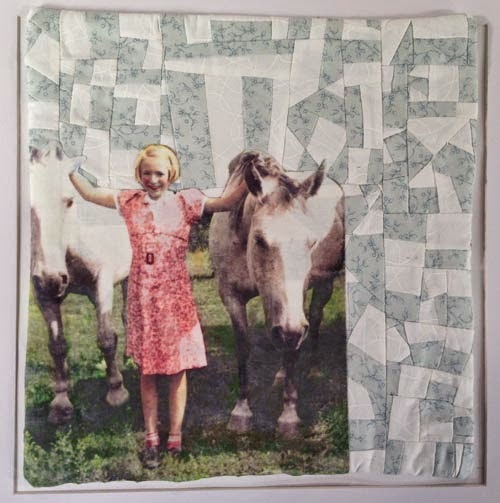 Together, Leslie and Jamie curate exhibitions for Dinner at Eight Artists. 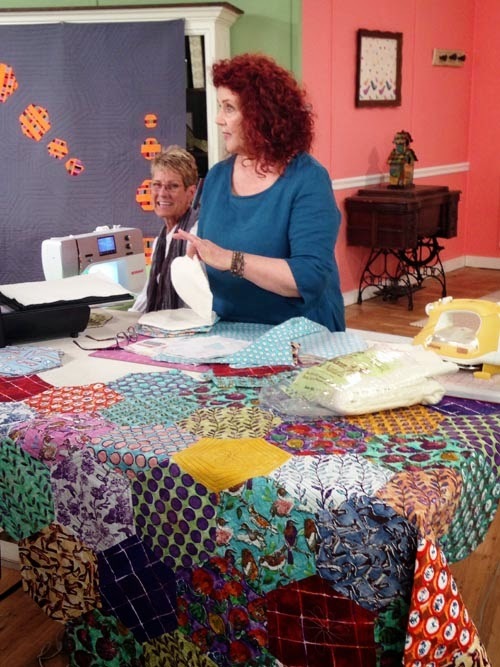 … and a giant hexagon quilt (these are fabrics from Melanie Testa’s lovely “Meadowlark” fabric line. 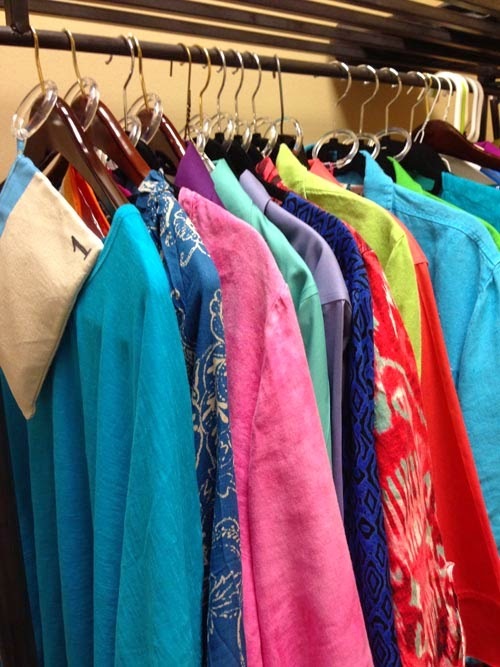 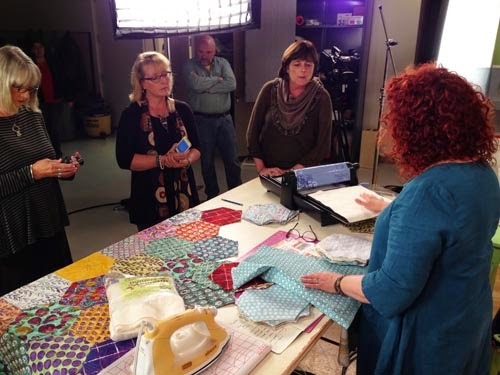 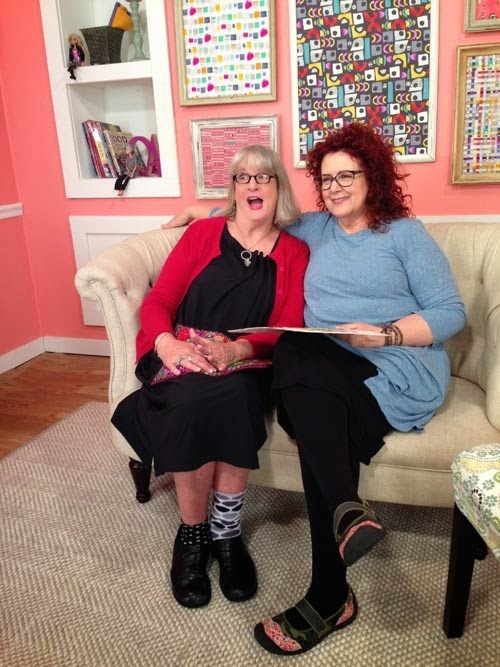 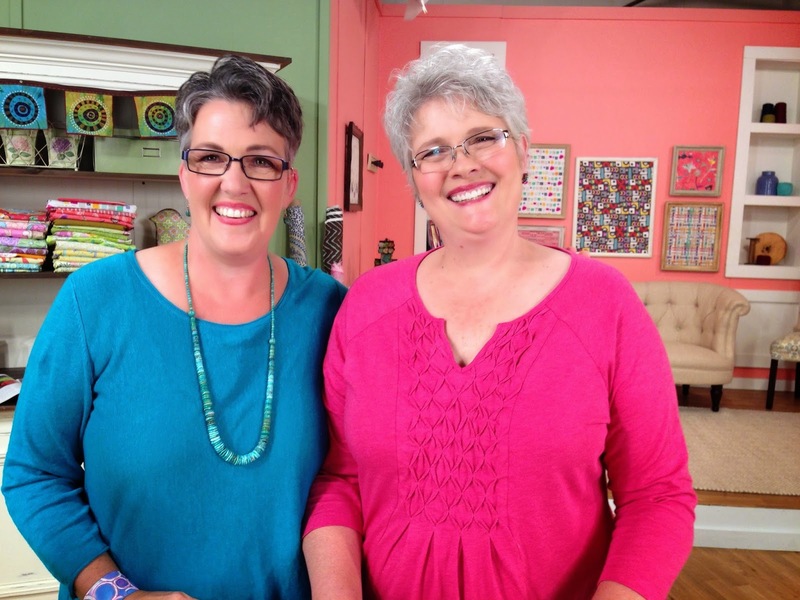 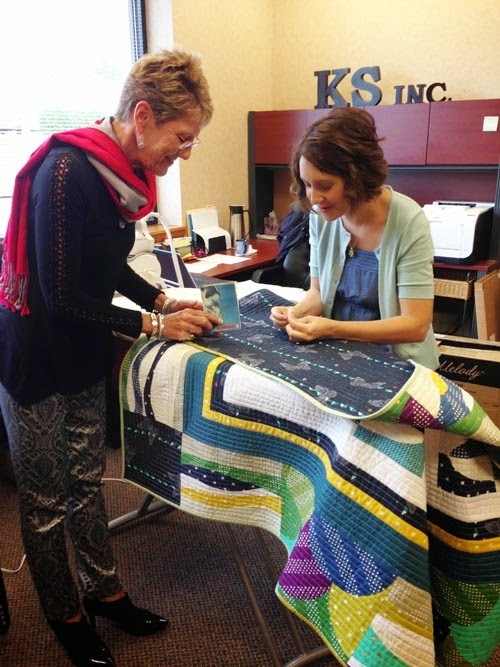 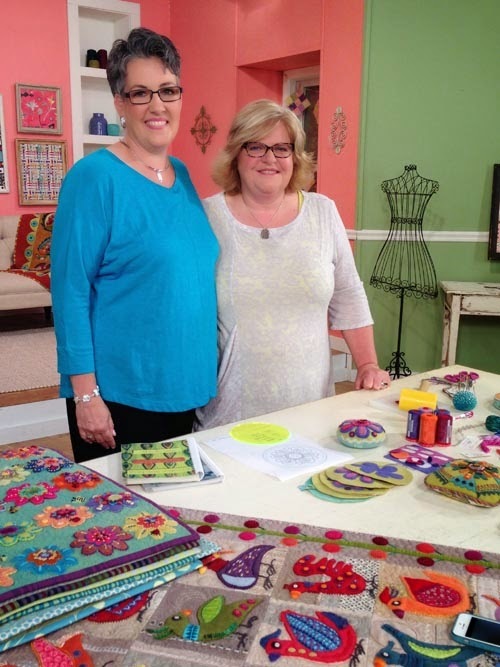 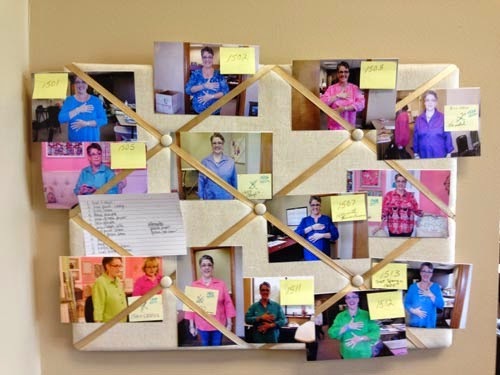 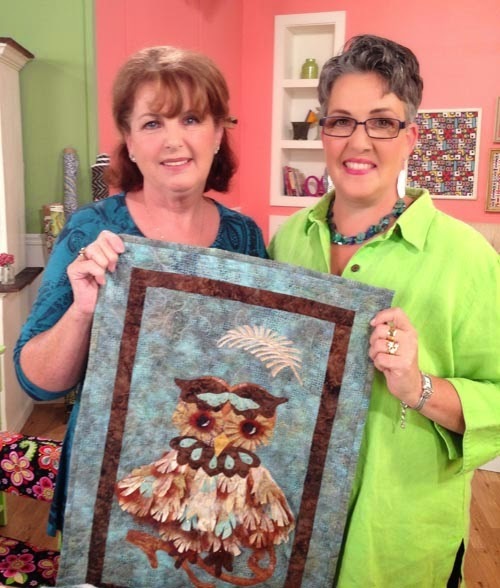 Before each segment is shot, the guest runs through what she is going to cover with the producer, Kathie Stull, and Quilting Arts editor Vivika Hansen DeNegre. 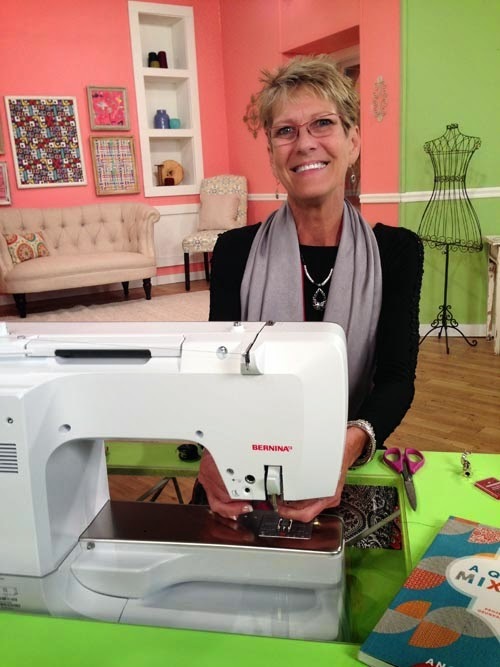 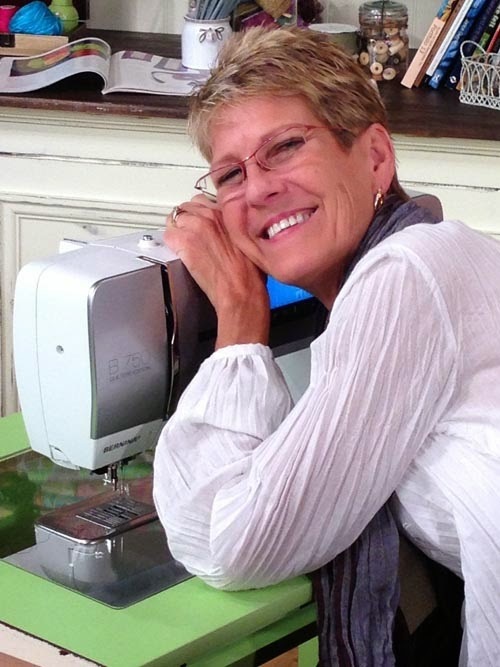 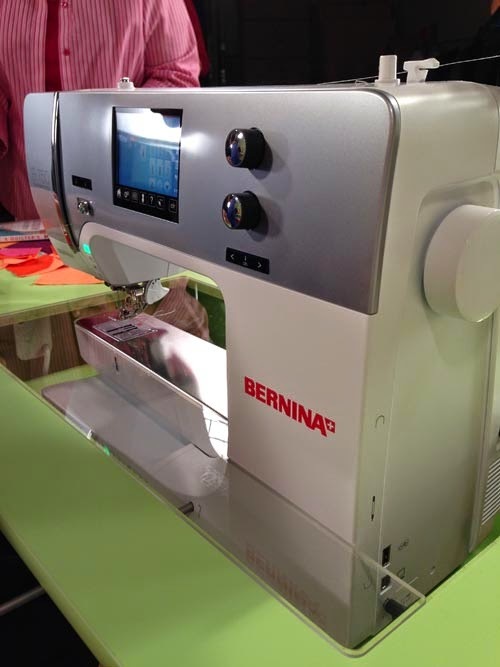 I use and love Bernina sewing machines, and I love it even more that they are a show sponsor, and we have them on set! 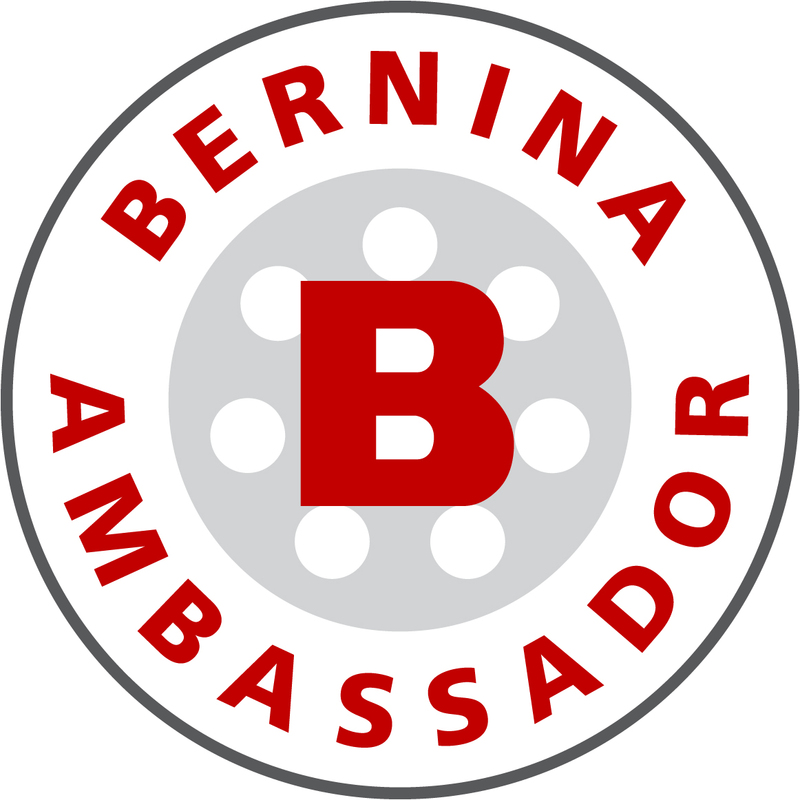 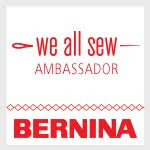 And best of all, we have Jeanne Cook-Delpit, Director of National Events for Bernina USA, with us all week to help guests get ready to stitch on the Berninas! 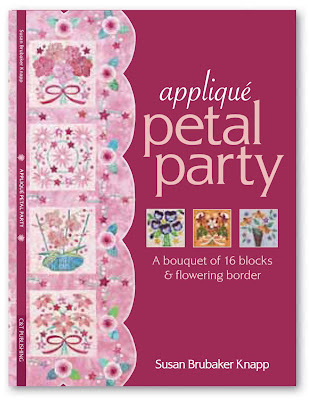 Teri Tope has a new book out with American Quilter’s Society (AQS) that includes a bunch of darling projects for Home Sewn Celebrations. 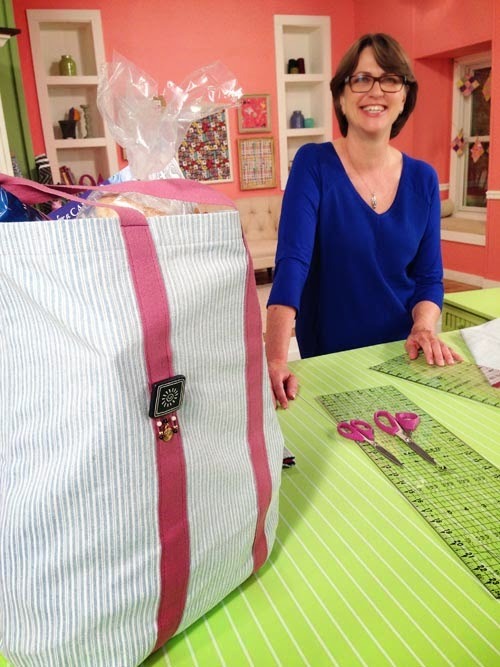 She demonstrated how to make a great tote that holds a two-liter bottle, and keeps it cool with insulated batting. 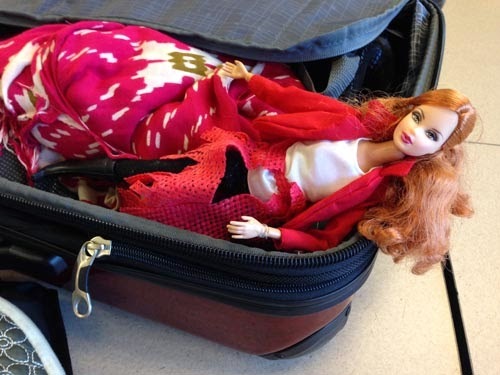 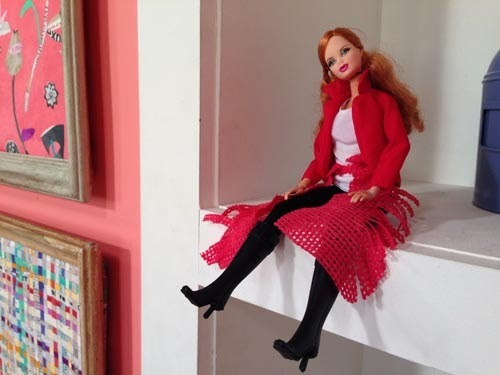 By now, you’ve probably noticed how often I was changing clothes. 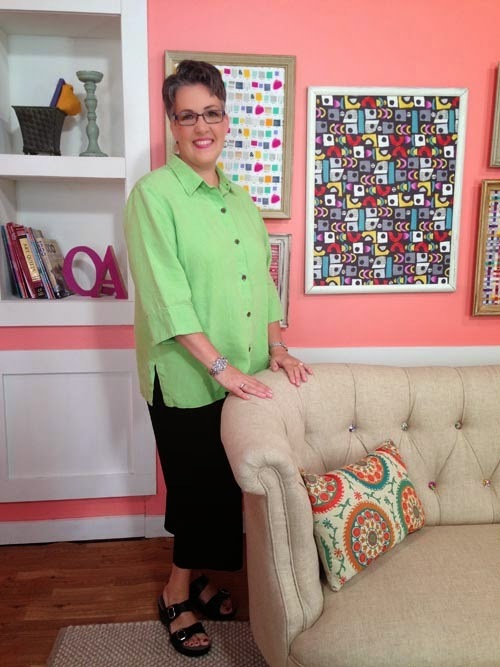 I have a different outfit and jewelry for each of the 13 episodes. 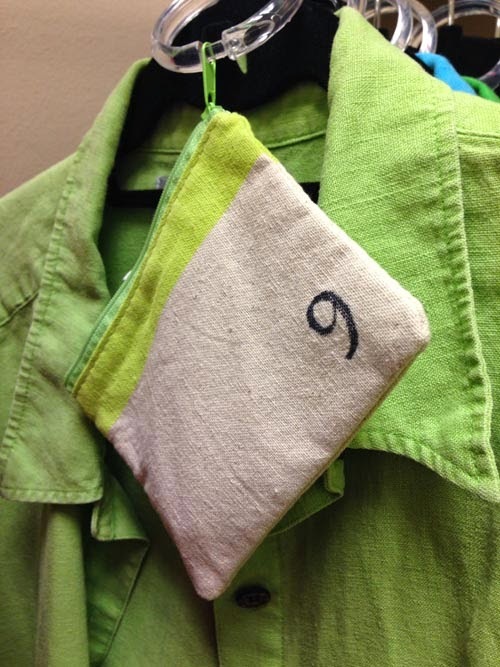 After I get dressed, they take a photo of me and pin it up so that I’ll know what to wear, and so that the guests can make sure they don’t clash with me on set. 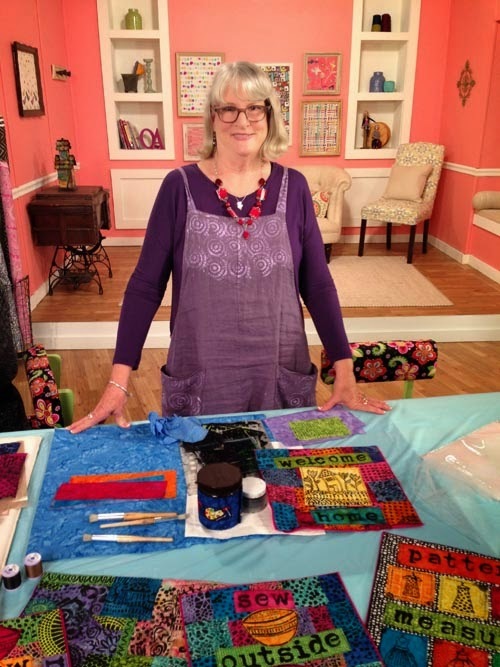 The pattern for Sue’s pincushion will be an online extra on the QATV website next year! 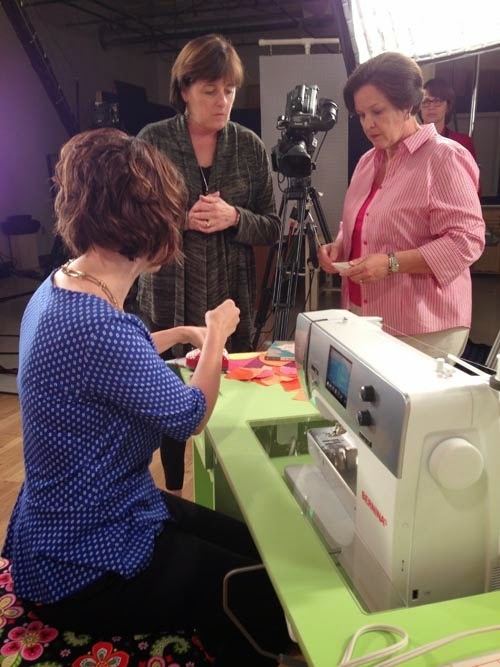 Catherine Redford was coming in to shoot a Quilting Arts Workshop, so we had her shoot a few TV segments, too. 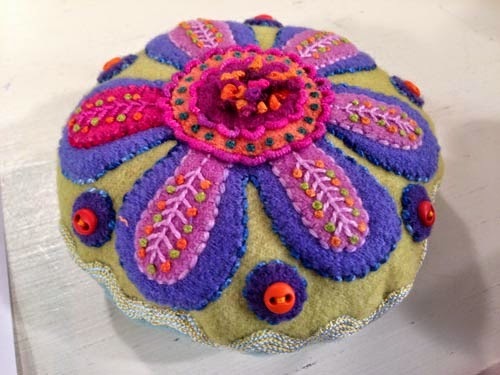 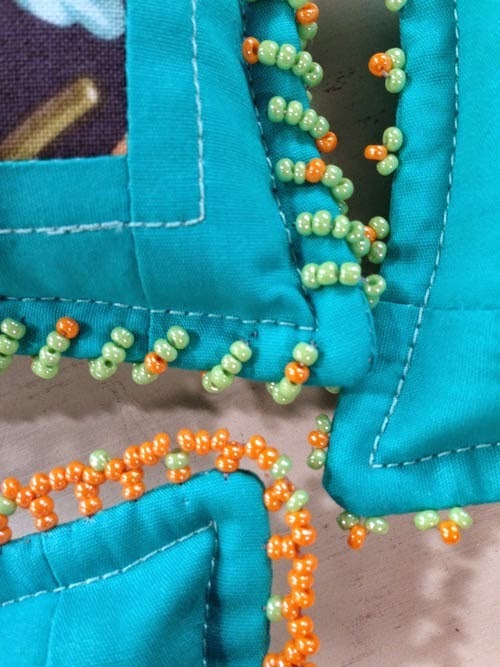 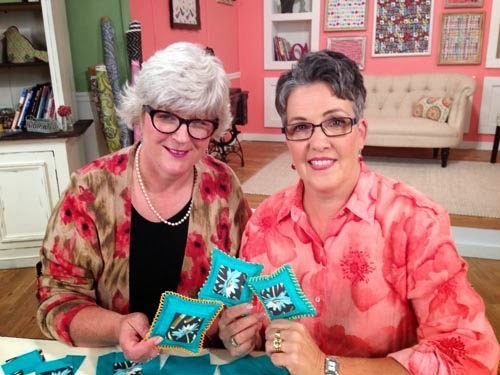 She demonstrated how to make beautiful beaded edges with this pincushion project, and also shot a segment on modern crazy quilting embroidery for Series 1600. 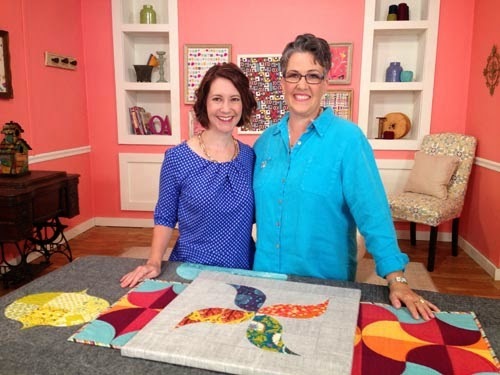 We convinced the talented Kristine Lundblad, Quilting Arts’ assistant editor, to shoot two segments. 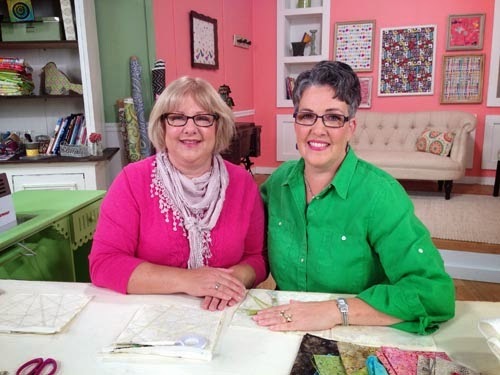 One is on a simple quilt for patchwork beginners, and one is on how to make a durable grocery tote bag. 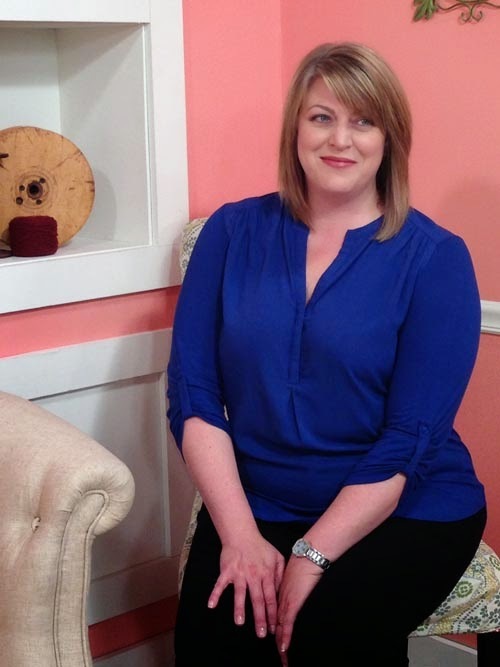 Rebekah Meier has appeared on numerous segments of QATV as a guest of show sponsor Rit. 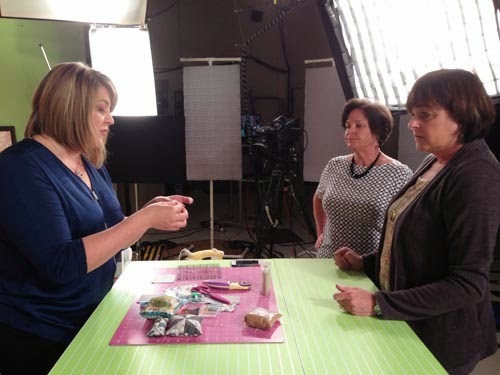 This time, she demonstrated how to use two new Rit’s products, Color Perfect and ColorStay Dye Fixative. 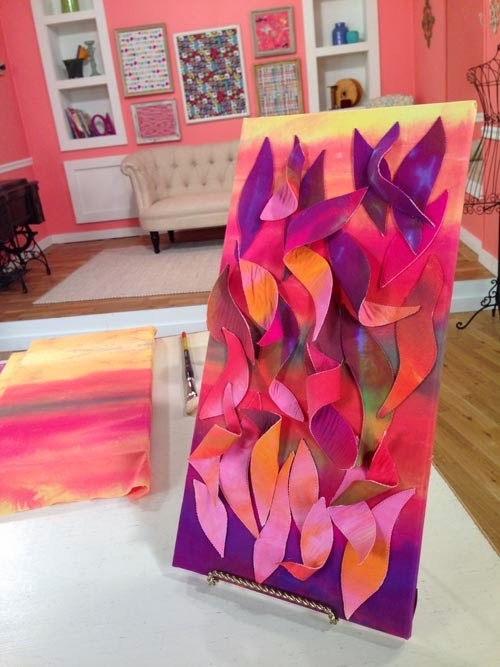 The dye is available in 7 colors and each kit comes with 3 applicator tips - spray, dauber and drip top. 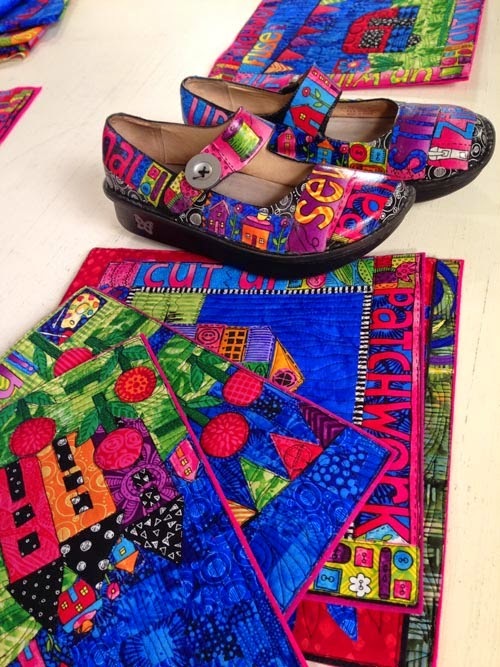 They are very cool! 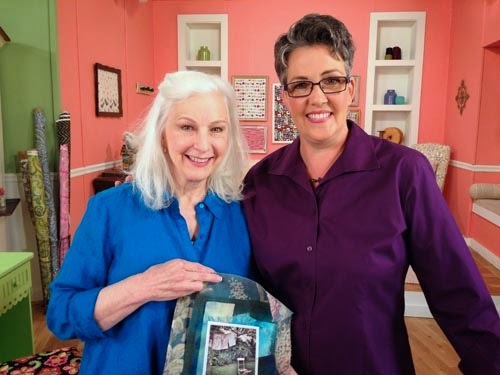 She also shot a segment demonstrating how to make a cute zippered bag from fabric she embellished with fabric strips and programmed stitches on your sewing machine. 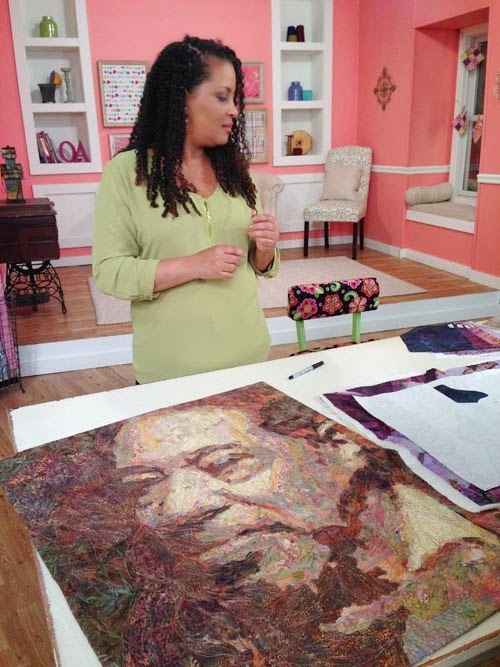 Roxanne Lessa shows how she uses fabric like a painter or sculptor in her two segments. 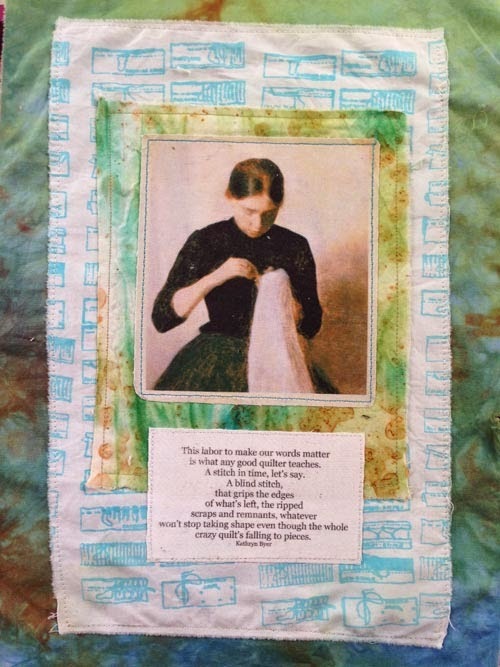 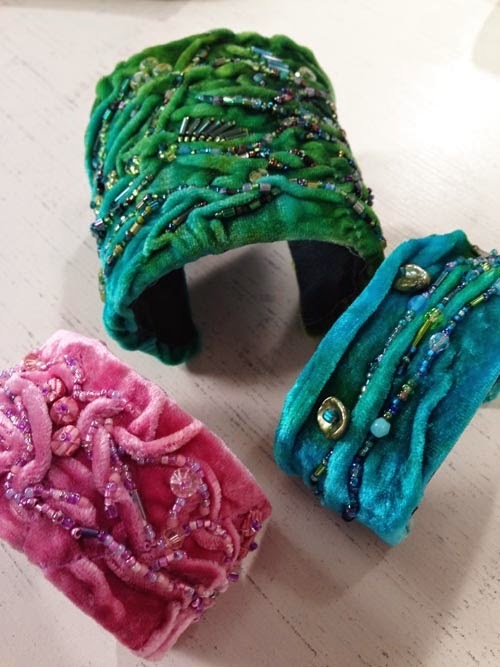 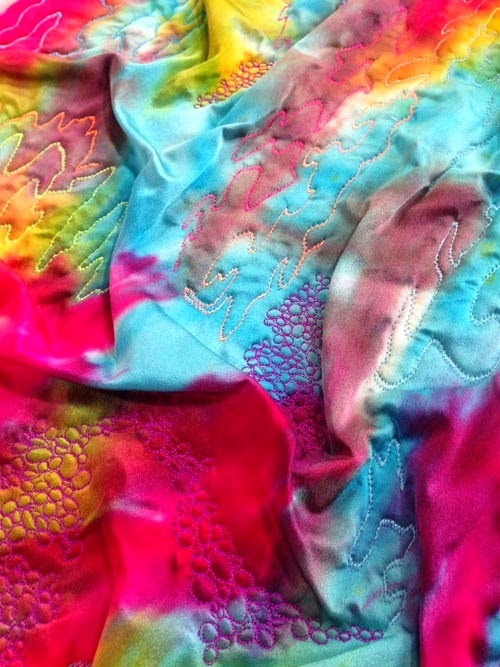 In the first, she sculpts and attaches hand-dyed fabric to a background, and in the second, she creates wonderful dimension and texture using silk fabric, a light-weight fusible and thread. 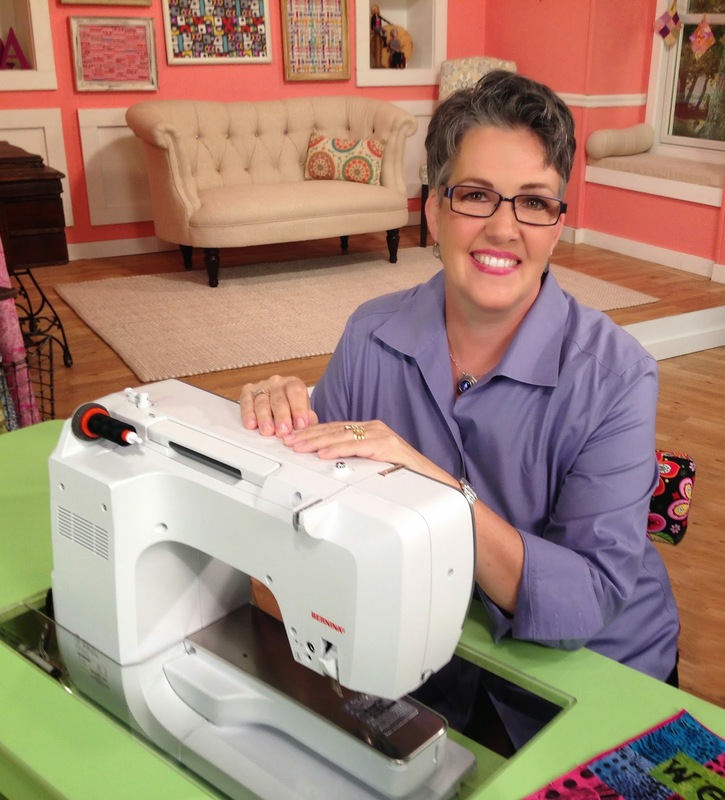 Angela Pingel works miracles with curved seams, and showed me how she machine stitches a Drunkard’s Path block using just one pin! 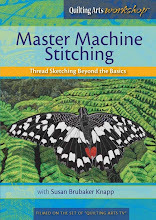 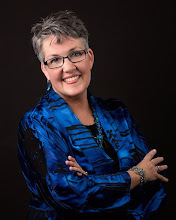 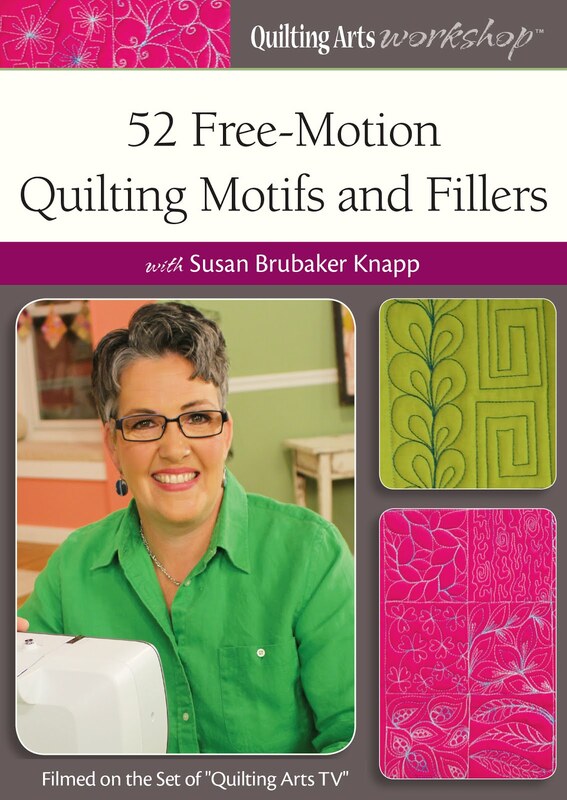 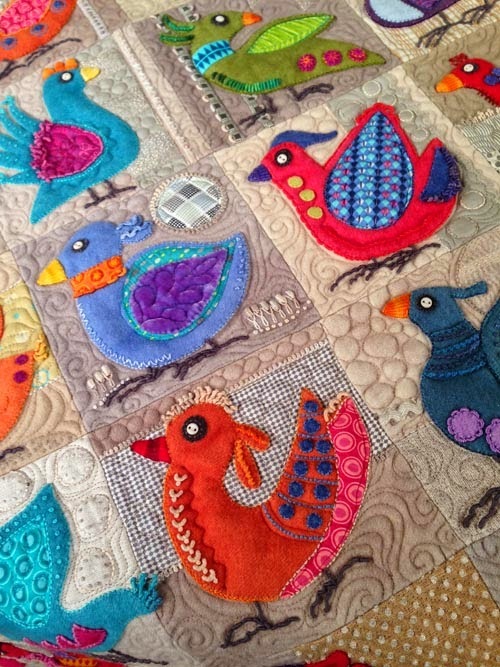 She is the author of A Quilter’s Mixology: Shaking up Curved Piecing (Interweave). 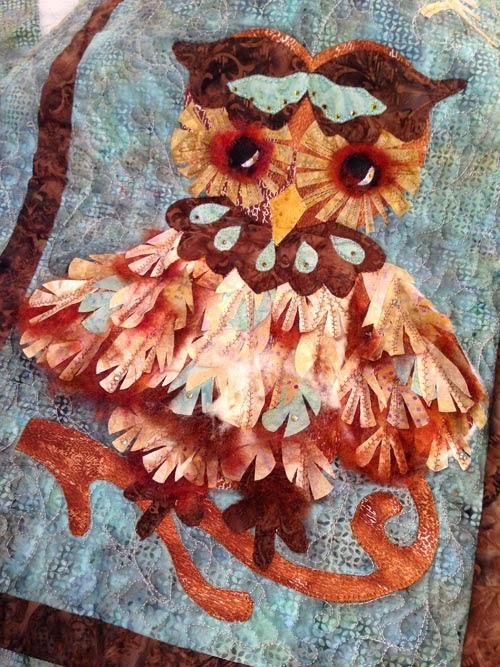 Angela also does a project with a scrappy raw-edge applique background and a single raw edge motif applique over the top. 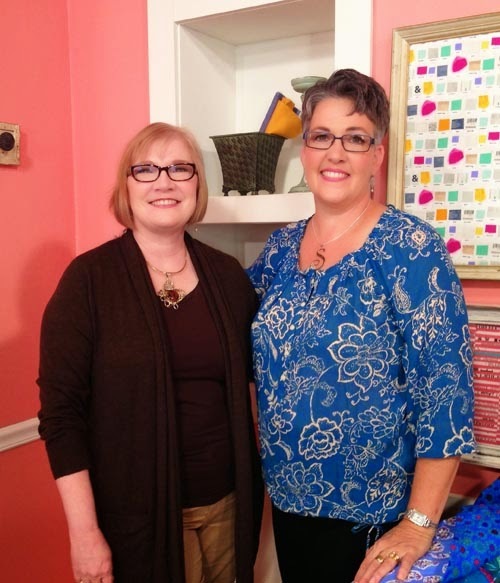 It will be an online extra on the website next year! 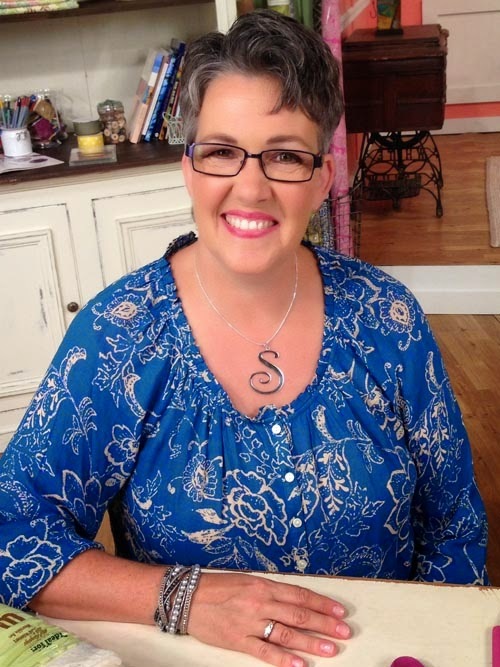 For this series, I got to wear some beautiful jewelry designs by Siesta Silver. 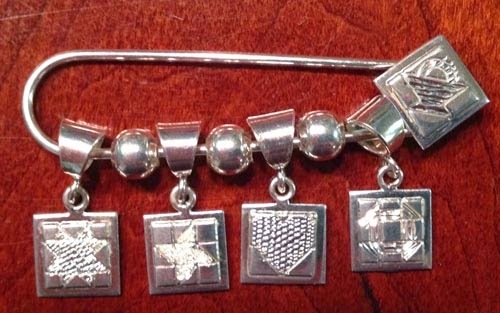 They have darling new quilt-themed charms that can be worn on bracelets or their charm holder (below). 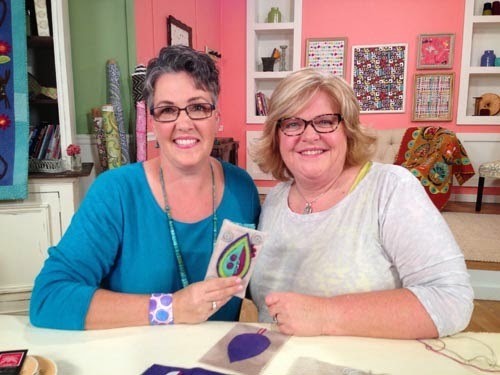 And some that are made into earrings and pendants. 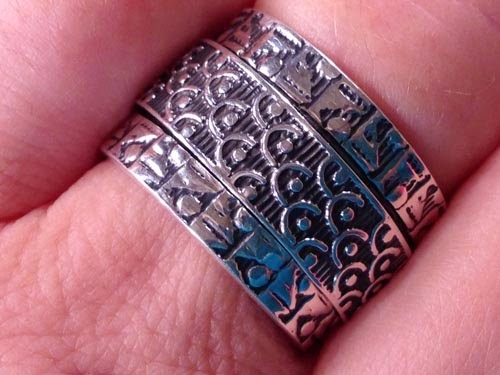 This ring had a sliding section in the middle! 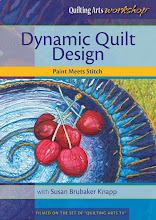 Martha DeLeonardis, author of T-shirt Quilts Made Easy (AQS), designs dynamic t-shirt quilts using a grid to combine 6"-, 12"- and 18"-blocks. 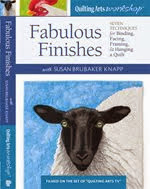 She shows us how in her segment, and also explains how to deal with fabric grain and stabilize fabrics for these quilts. 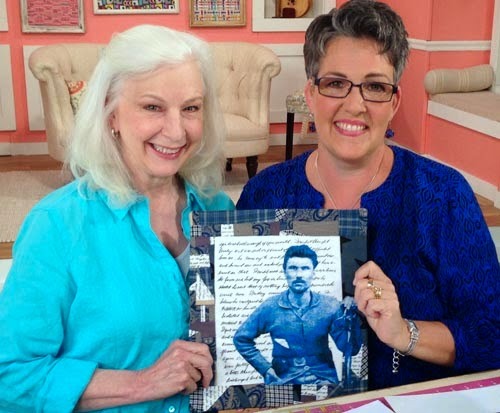 Lesley Riley is a mixed media artist, author, and the creator of Lesley Riley’s TAP Transfer Artist Paper. 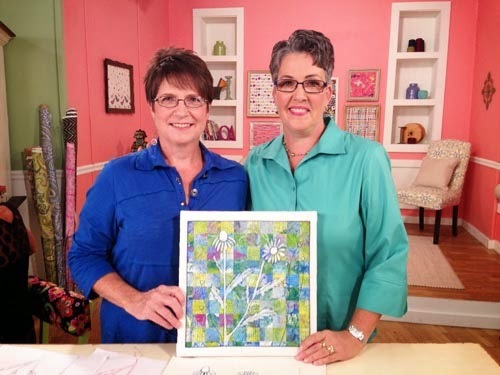 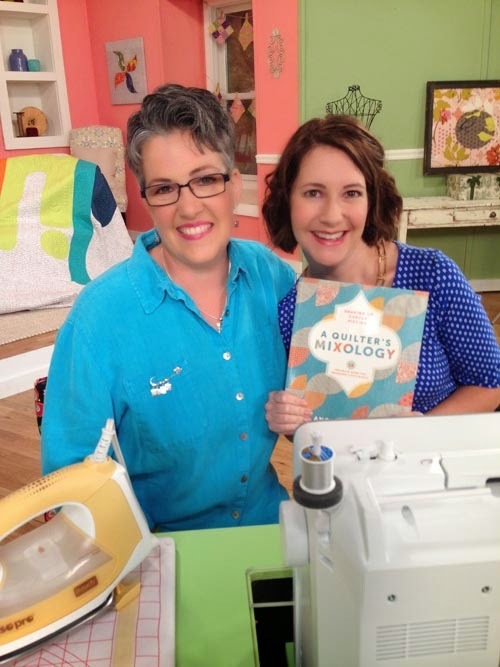 In her segments, she shows how to make a fabric book, a modern memory quilt(she also shot a Quilting Arts Workshop on this topic! 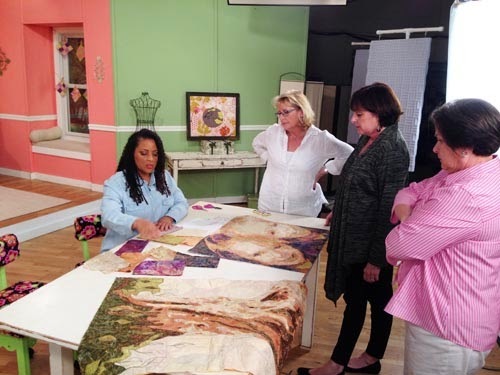 ), and gave us “the Inside Scoop on artful use of fabric” while creating one of her fragment fabric collages. 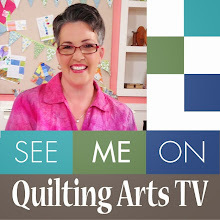 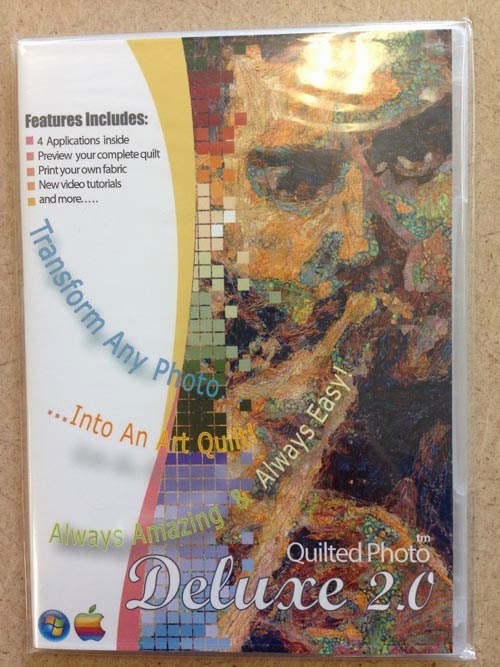 I hope I’ve whet your appetite to see “Quilting Arts TV” Series 1500! 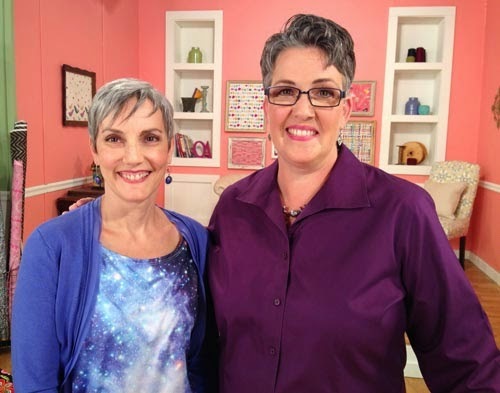 Series 1400 is airing now on more than 400 public television stations across the country. 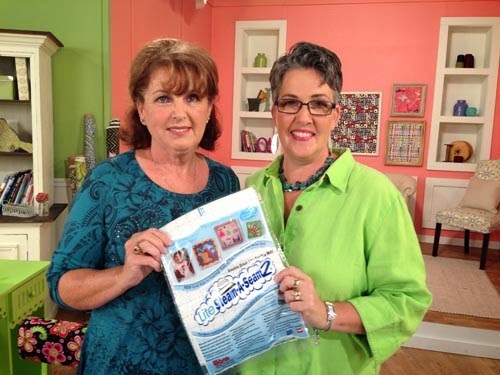 Remember, you can enter your zip code here to find out what stations are carrying the show in your area. 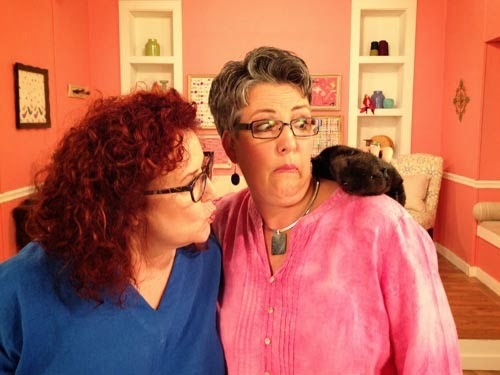 Once you know the channel, you need to check with your carrier (cable, satellite, etc.) 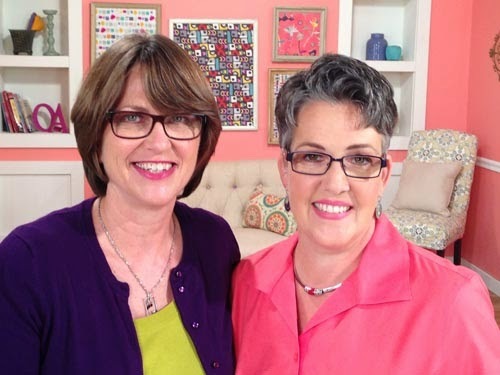 to determine when the show will be on in your house.